Review – Nova Launcher – The Ultimate Android Launcher? Nova Launcher and the in-app purchase to Prime, gives you one of the most configurable yet easy to use launchers for Android available today. 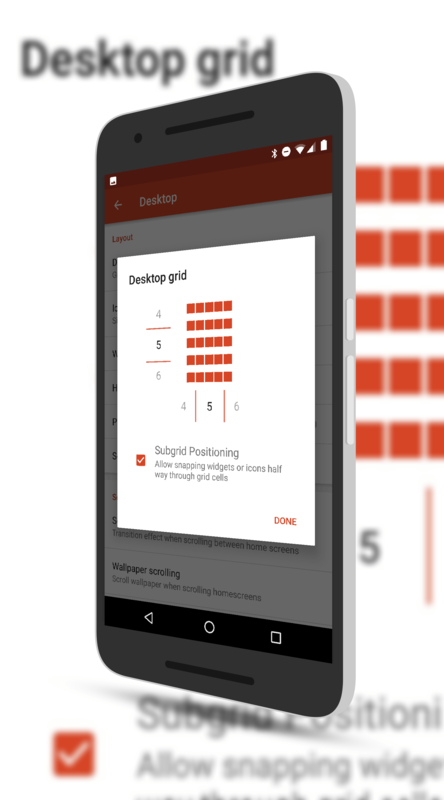 There are dozens of configurations changes that you can make to truly make it look, feel and behave the way you want it to on your device. The settings are easy to understand and laid out nicely without being overwhelming. But even if you don’t want to tweak the launcher, out-of-the-box it provides a great look and functionality to your phone or tablet. Over the course of the past few months, there have been two important changes on the Android launcher front. The first was the announcement of the Google Pixel and its still exclusive launcher back in October. Then came news last month that the Google Now Launcher is being removed from the Play Store this month. This latter bit of news has caused a lot of questions in the Android community with users looking for alternative launchers. That’s were Nova Launcher comes into the picture. While there are literally dozens of launchers in the Play Store, Nova Launcher remains one of the most loved and used. But is it the best? That’s going to depend on what you want and expect out of a launcher. If you like seemingly endless configuration and customization, you would be hard pressed to find anything better than Nova. There are a huge number of configuration changes you can make in the launcher, from how your App Drawer is accessed, presented and even your icons for apps. It is truly impressive and even if you just want to run things “out of the box” with Nova, you likely won’t be disappointed. Over the past month I’ve been running two different launchers on two different phones. On my Nextbit Robin I’ve been trying out the continually updating Microsoft Arrow Launcher while on my Nexus 6P, I’ve been running Nova Launcher. This is my review of later with the Arrow Launcher review coming in a few weeks. First however, for those who are new to Android, let me explain what a launcher does on your phone or tablet. The launcher is essentially the interface through which you interact with your phone. It is what displays your app icons on your Home page, allows you to access your apps in the App Drawer and some launcher have other content features (like the Google Now Launcher’s Now page as an example). The beautiful thing about Android is that you can change (for most devices) this launcher to something that suits your likes or needs better. Nova Launcher, without question, is one of the most customizable available. Quite literally, every aspect of it can be customized to fit your needs or the look you want on your phone. This goes from the number of apps that are displayed on your home page, your app tray and the icon pack that you want to use to represent your apps. It is comprehensive but can easily be setup without having to tweak anything if you don’t want to do so. When you first start Nova, you will be walked through a wizard to setup the basics of the launcher. This allows you to get going quickly with the launcher. If you want to have the same icon and widget layout in Nova that you have in your current launcher, that can be imported via the Settings>Backup & import settings menu. The settings within Nova Launcher are divided into specific areas of the app so you can tweak things for a particular feature. These settings include things like Desktop, the Dock, Folders, the overall Look & feel of the app, Night mode configuration and Gestures. Each one of these areas will focus just on that area which should cut down on your hunting for a particular setting. This easy-to-understand menu is one of the highlights of the launcher in my view. To keep this review a reasonable read, I’m not going to dive into each setting but rather give you a sample of what some of them do as you configure the launcher. 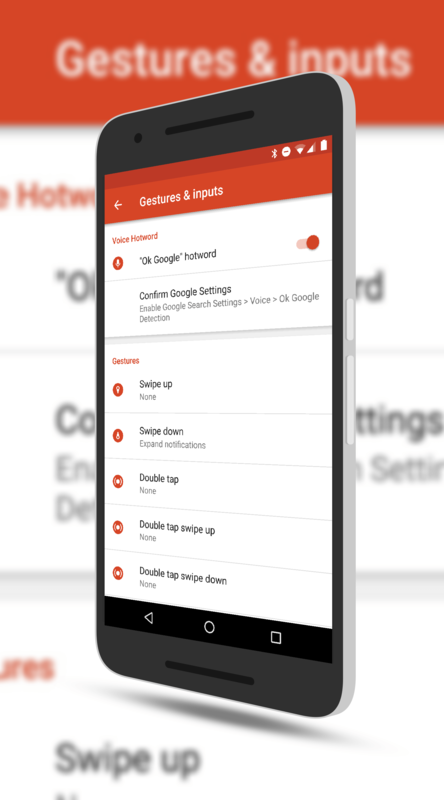 The Desktop settings allow you to adjust the look of the desktop (AKA the Home page) on your phone or tablet. Here you can adjust things like the icon grid size to give you more icons on your home page. You can also adjust things like the size and label of your icons, the padding around them and the search bar style. That search bar style changing can give you the new Pixel Launcher look too if you want it. The App & widget drawers settings also allow you to configure the App Drawer’s grid size & icon size but also gives you the ability to change the Drawer style (vertical or horizontal scrolling) and if you want to swipe to open up your App Drawer. 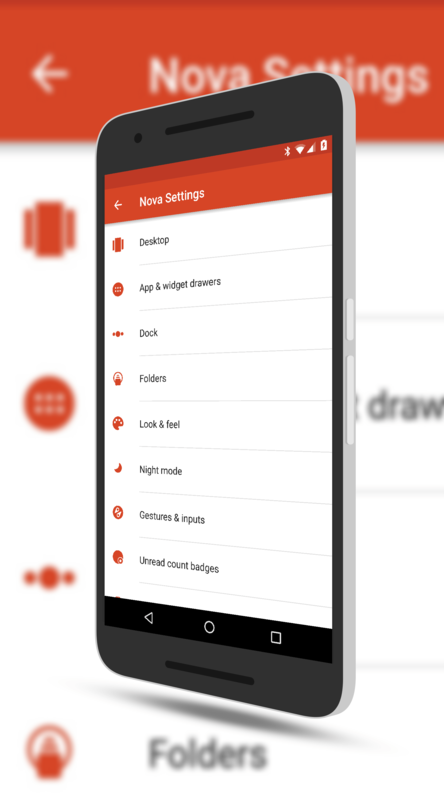 You can also configure your drawer to have menu actions at the top such as Search, a link to the Play Store or your most recent apps. icons that will complete your Pixelification of your phone. Of course, you are not limited to just making your phone look like a Pixel. All of these areas of the Nova Launcher can let you complete any look that gives you the level of personalization you want on your devices. One of the nice features of Nova Launcher is Night mode. This feature allows you to define a time in which the areas of your phone are shown in a dark grey, thus making it easier on your eyes when viewing your phone in low light. The feature can be setup manually to go into Night mode at a set time and to come out of it at your set time. Likewise, you can configure it to always be on or to use the location services of your phone to automatically setup at sundown and sun up. Once you decide on a time, you can have the dark theme of the feature used for things like the search bar, the app drawer, the drawer icon and folders. separate gestures you can configure to make Nova truly productive for your day-to-day needs. All of this is just a sample of what Nova Launcher can for you. 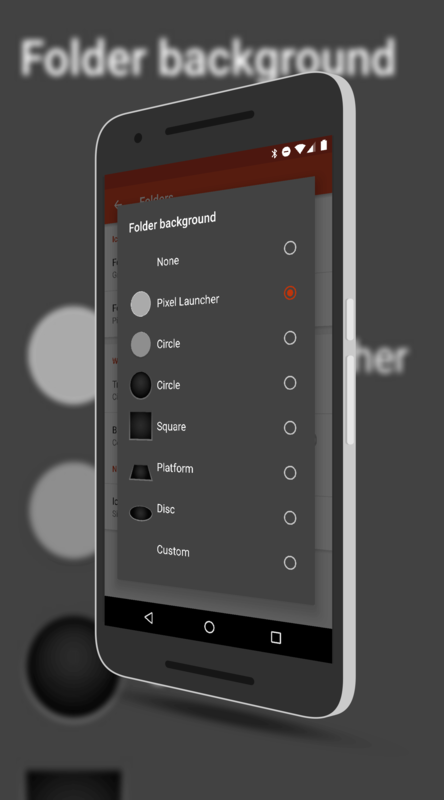 It is an extremely powerful launcher with a huge amount of customization but equally, can work for you right after you install it without doing any customizations. It is up to you but if you want to tweak the look of your phone, Nova gives you the tools to do it. If you want to try out, Nova is free in the Play Store. The free version will allow you to do a lot of what I’ve described above but things like Gestures, Unread item counts and the ability to add icon swipe actions only comes with Prime. Nova Launcher Prime is a one-time in-app purchase of $4.99. My recommendation? Get Prime, especially if you are one who want to turn all the knobs and make the launcher truly personalized to your needs. Of course, give the free version a try and see what you think before you commit the fiver. As for me, Nova Launcher has become my favorite launcher for the flexibility it gives me the ability to tweak the look of my Nexus 6P to my personal taste. It is truly a master piece and the best launcher available you can pretty much customize EVERY feature, but it does freeze, stop working and hang OFTEN.